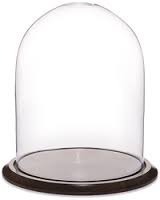 Glass dome for displaying and decoration. Beautiful vintage inspired glass dome. 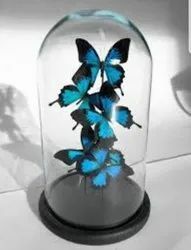 These gorgeous glass domes will look stunning on your table with rings, cheese, cakes, biscuits, jewellery or even flowers inside. We think the larger domes look great with fairy lights in as they reflect on the glass and look magical. Our company has achieved widespread recognition for offering Stained Glass Dome to the clients. It is designed and manufactured utilizing quality approved wood and the contemporary techniques under the guidance of our deft professionals. Stained Glass Dome is known for attractive appearance and contemporary designs. Size avilable 1.5" , 2", 3", 4", 6"
Our clients can avail from us glass domes, which are manufactured using FRP fiber glass. These are appropriate for fixing over any open space of staircase or lobby in order to create an artificial shade at the day time. The dome is translucent in nature and thus allows the sunlight to come through it.